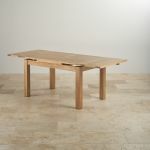 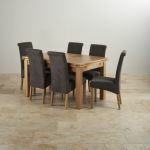 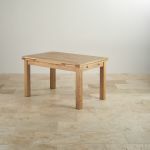 The Dorset 4ft 7” x 3ft Oak Extending Dining Table features only the finest materials. 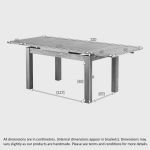 The table encompasses two extendable leaves perfect for extra storage on demand and for ensuring extra space to any room when retracted. 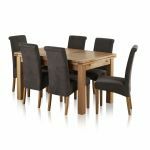 Both the table top and leaves are handcrafted from premium grade oak and all are 28mm thick, giving each piece a strong and rigid finish. 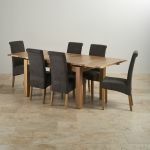 The table is designed purely to showcase the grain of the wood throughout and in order to maintain the stunning look that only oak can give, simply treat with Furniture Wax 3-4 times a year. 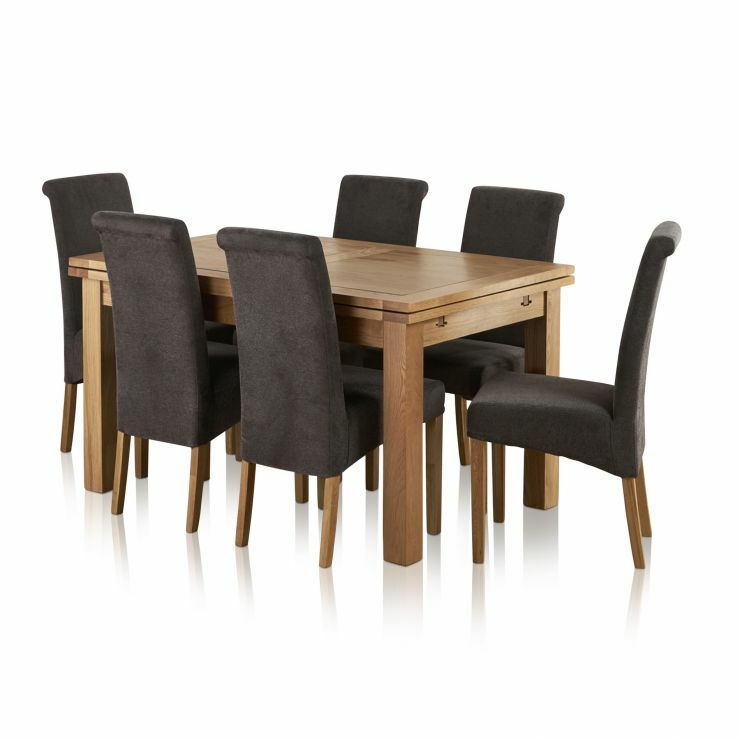 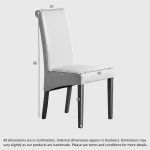 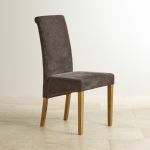 The table also comes with six modern charcoal upholstered high back chairs that offer a luxurious design and essential comfort.